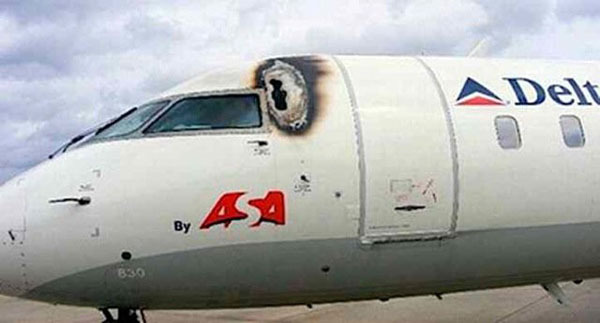 This would sure cause one to reconsider one's life carefully, especially the pilot! 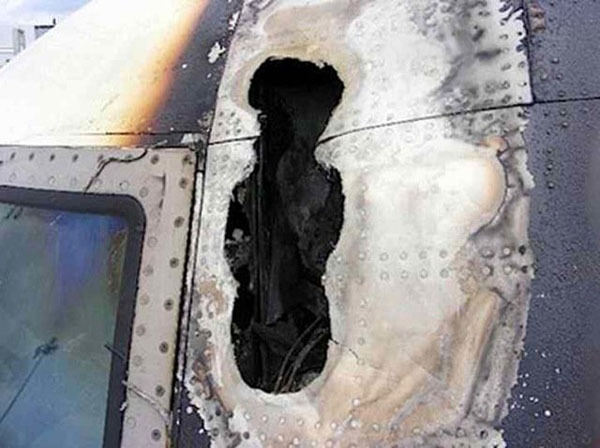 This is the biggest hole in an aircraft caused by a lightning strike that I have ever seen. 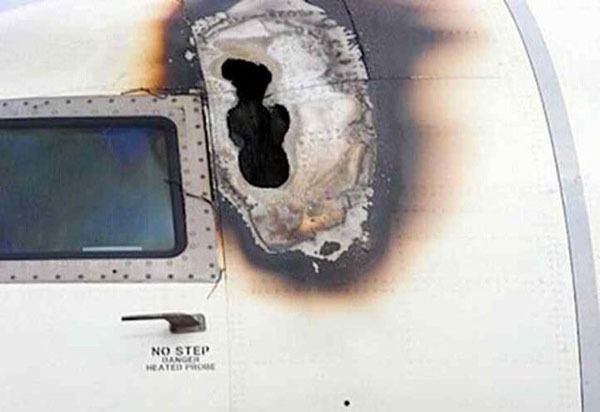 The pilot must have gotten religion immediately after he wet his pants. I'll bet his ears rang for quite a while afterwards. OK. So, you're in the left-hand seat of an airliner, cruising gently along at 400 knots. The aircraft's on auto-pilot and you're browsing through The Financial Times, checking to see how your new shares in Facebook are performing while you sip a nice cup of coffee. Suddenly the loudest sound you will ever hear goes off just behind your left ear! You're blinded by the flash and can't hear yourself panic. But you're still alive, so you immediately consider retirement! A pilot friend sent these photos this morning of an Atlantic Southeast Airlines / Delta Connection aircraft, after it suffered a lightning strike.